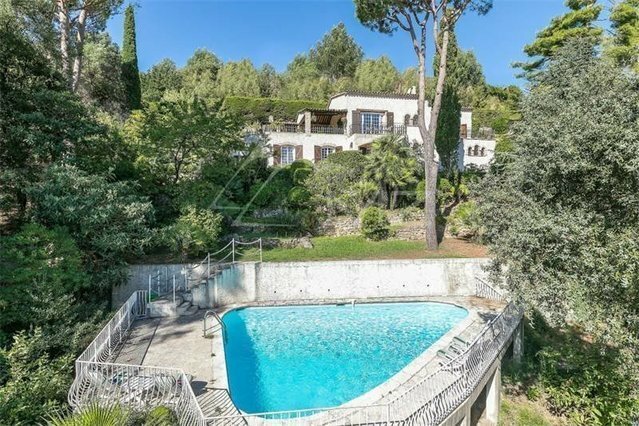 Super Cannes : situated in a quiet residential area and dominant position, beautiful provencal-style villa, with a sea view, offering : entrance hall, vast and bright living / dining room, fully equipped kitchen, 4 bedrooms including 2 bedrooms on the ground floor and 2 bathrooms. Landscaped garden with a lovely pool area. Garage and parking facilities.